The eucharist is one of the central acts of worship for Christians &#x2015; some would say the most important. Yet within the many<br />traditions of Christianity, there appears to be no united voice &#x2015;even in an age like ours in which ecumenical agreements unthinkable until recently have sought convergence and achieved it.<br />Anglicans have often been described as occupying a 'middle ground' between Catholics and Protestants. They have even been criticised for being woolly!<br />In this well-presented and readable book, two scholars have set out to chart an Anglican course through the key-areas of eucharistic presence and sacrifice &#x2015; how Jesus is present at the Supper and how the celebration relates to the self-offering of<br />Christ. They quote many authors from different viewpoints over the past four hundred years &#x2015; including poets. They tell a story that is rich and varied. And they make accessible to a fresh generation what it means to define, sift, probe and discuss the meaning of the Holy Communion, yet still hold on to that vital aspect of all Christian belonging and living &#x2015; the mystery of Christ Himself. The eucharist is one of the central acts of worship for Christians - some would say the most important. Yet within the many traditions of Christianity, there appears to be no united voice - even in an age like ours in which ecumenical agreements unthinkable until recently have sought convergence and achieved it. 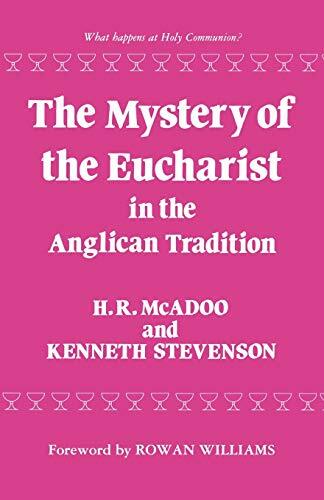 In this well-presented and readable book, two scholars have set out to chart an Anglican course through the key-areas of eucharistic presence and sacrifice - how Jesus is present at the Supper and how the celebration relates to the self-offering of Christ. They quote many authors from different viewpoints over the past four hundred years - including poets. They tell a story that is rich and varied. And they make accessible to a fresh generation what it means to define, sift, probe and discuss the meaning of the Holy Communion, yet still hold on to that vital aspect of all Christian belonging and living - the mystery of Christ Himself.